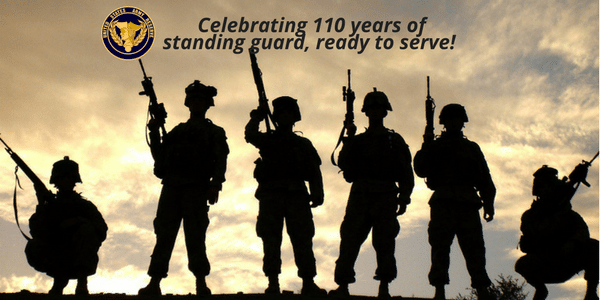 April 23, 2018, marks the 110th birthday of the Army Reserve. Most people don’t realize just how important the Army Reserve soldiers are to our national safety, which gives us the chance to show you. Keep reading to find out what you can do to thank an Army Reservist. The Army Reserve is a group of citizen soldiers controlled by the federal government. During times of war, the reservists will mobilize to help active Army members. During times of peace, soldiers of the Army Reserve continue to train with the same deployment standards as the active Army, with the expectation that they will be ready when needed. 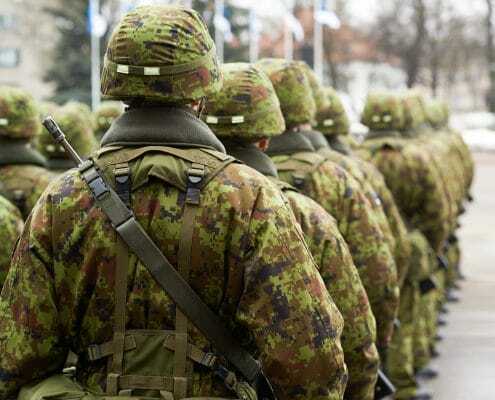 Since October of 1990, after the end of the Cold War, the National Guard has taken on most of the combat roles while the Reservists take on the combat support and combat service positions, working with the active Army service members when necessary. There are also training commands who train soldiers, as well as ROTC cadets. How Does Being an Army Reservist Work? As an Army Reservist, you continue to attend college or work in whichever career you’ve chosen, all while serving close to home. Army reservists train the same as active-duty Army Soldiers, but once you complete Basic Combat Training and Advanced Individual Training, you go back to your career and life, spending one weekend each month to train so you can retain your skills. For two weeks out of the year, Reservists focus on field training and specialty training and can also attend more competitive training programs. As an Army Reserve Soldier, you can choose to serve from three to six years. 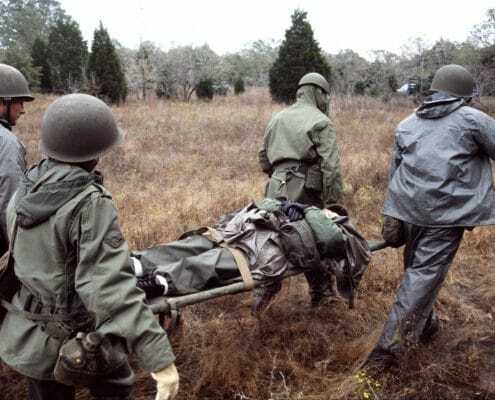 Although Congress did not officially create the Medical Reserve Corps, the official predecessor of the Army Reserve, until 1908, the United States has had a national group of Citizen Soldiers for as far back as the French and Indian War. As the United States of America became a powerful entity, a vast army was not a requirement, as we were separated from other countries by an ocean on each side. When the Napoleonic Wars ended in 1815, there was no official foreign threat to the United States, so only a small standing army was necessary, used to keep the peace between Native Americans and settlers. Just like the Reserves today, soldiers would be trained for war, mobilized to fight, and then returned home after the threat was taken care of, leaving only a small group of soldiers behind. This system worked rather well, until the turn of the twentieth century, when the United States became a world power, creating world trade routes that took them outside of our oceanic bubble. During the Spanish American War, as well as the Philippine Insurrection, the United States had trouble mobilizing the troops necessary to defend against Spain. We were short on trained officers, non-commissioned officers, as well medical professionals. That’s when Congress officially established the Medical Reserve Corps in 1908, giving federal control of a group of Citizen-Soldiers during times of war, as well as peace. We needed to have soldiers ready to fight at a short moment’s notice. The United States mobilized almost 90,000 Reserve officers during World War I. One-third of those assembled were medical doctors. Over 80,000 Army Reserve Soldiers served during that time, and close to 15,000 of them were in medical units. After being placed into units and receiving their training, the Army Reserve Soldiers deployed into the war zone. Starting in 1940, the Army began to call Army Reserve officers to mobilize. In the year following, the U.S. government placed more than 57,000 Army Reserve officers on active duty. About 25 percent of the Army officers serving were Army Reserve Soldiers, adding up to over 200,000 during World War II. As the Cold War era began, the United States government recognized the need for more readily trained reservists. Up to that point, training reserve soldiers took up to nine months before they could be sent in to help with the war effort. 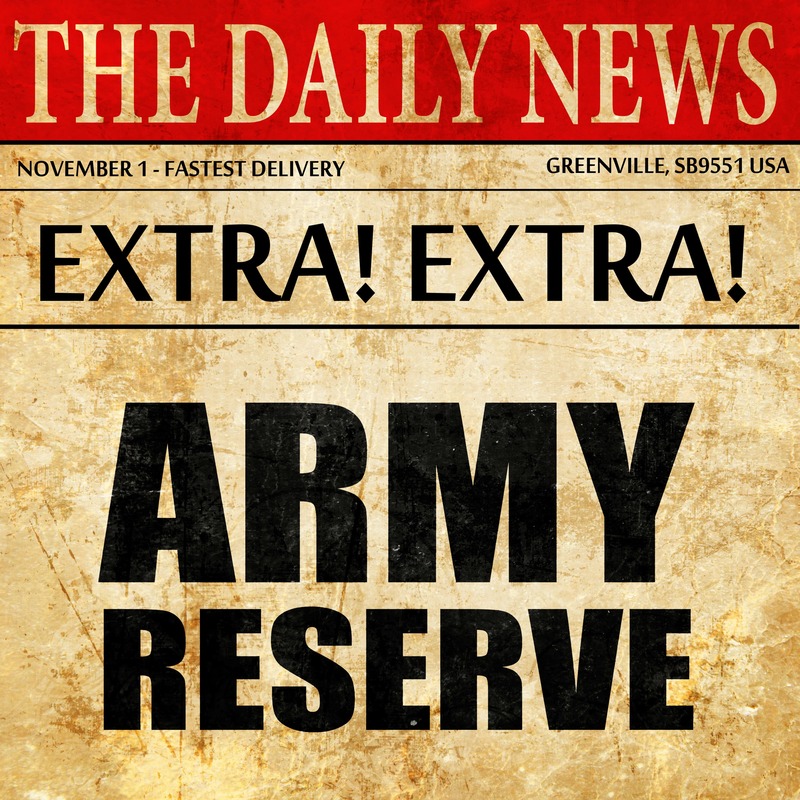 In 1948, Congress redesignated the reserve once again as the Organized Reserve, and authorized drill pay and retirement pay for the first time. More than 240,000 Army Reserve Soldiers were called to active duty during the Korean War, showing just how much the Army Reserve was needed. As the Korean War pushed on, Congress started making changes to the role and structure of the Reserve. Over 200,000 Army Reserve soldiers are serving in the Army today, showing just how big of a part they play in our military advancement. Not only do they go to work every day, utilizing their skills in civilian life, but they also spend their weekends and free time training to keep our country safe. How Can I Celebrate the Army Reserve’s Birthday? If you don’t live near an Army Base, there are still many ways to find a Reserve soldier. Because they are not required to live near active posts, they can be found in many of our own communities. Find a nearby Veteran’s group to assist you in finding the reservists near you. If you see a soldier wearing a Reserve Patch, make sure you thank them for their service. They don’t serve every day, but they do work a full-time job and continue to keep themselves ready for combat if that time arrives.